Need blower/intake clearance? The Flat top is your answer. Must be used with an MSD 6, 7 or 8-series ignition. Having a huge huffer mounted on top of your engine is cool, but can lead to limited choices for a distributor. We decided to morph our Crab Cap crank trigger distributor with a standard Chevy model to come up with the Flat-Top! 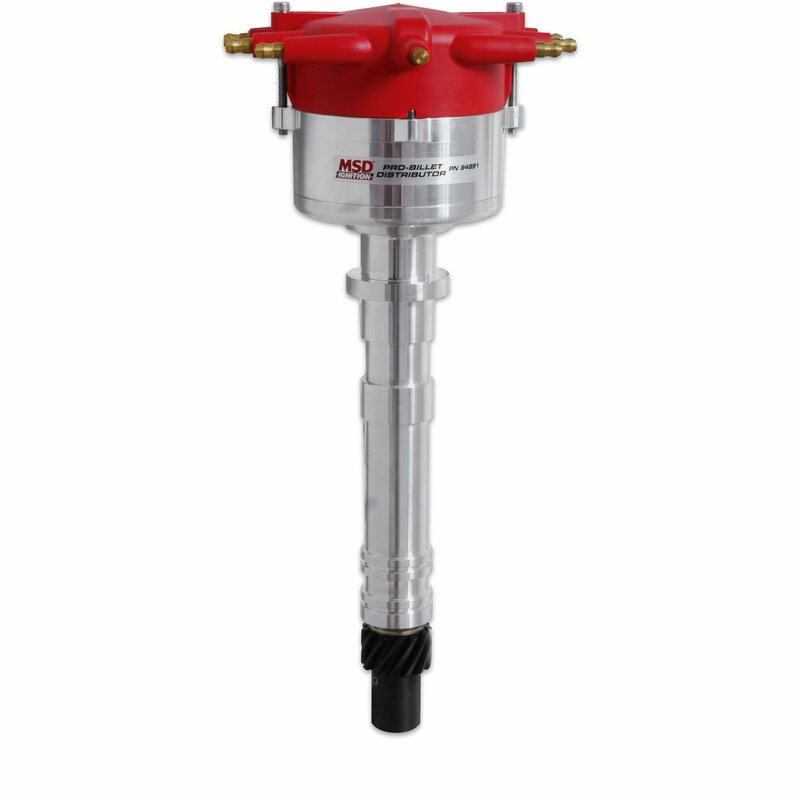 This distributor sits low in the engine block, then is topped with our special Crab Cap that positions the spark plug terminals horizontally to give you plenty of clearance. The distributor incorporates a mechanical advance assembly that you can easily tune with the supplied springs and stop bushings. For trigger accuracy, a maintenance-free magnetic pick-up is used. This pick-up plugs directly into an MSD Ignition Control. 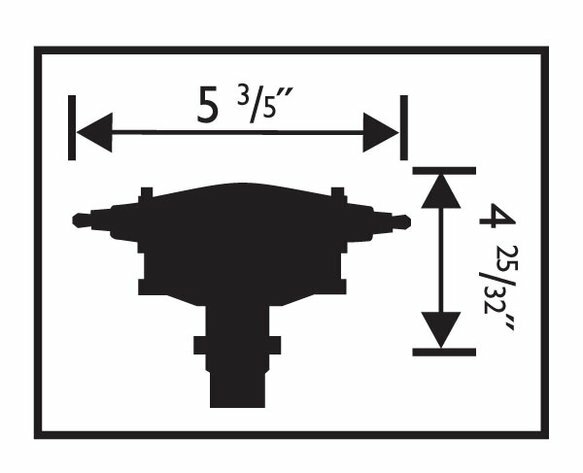 The Flat-Top Distributor is supplied with our Dupont, Rynite molded distributor cap and rotor along with a heavy duty gear for long life in your engine.